Made in honor of my mother; if stars had aligned differently, she would have been a happily-careered feminist. Family photos transferred onto cloth diapers; diaper liner veils imprinted with breast prints. 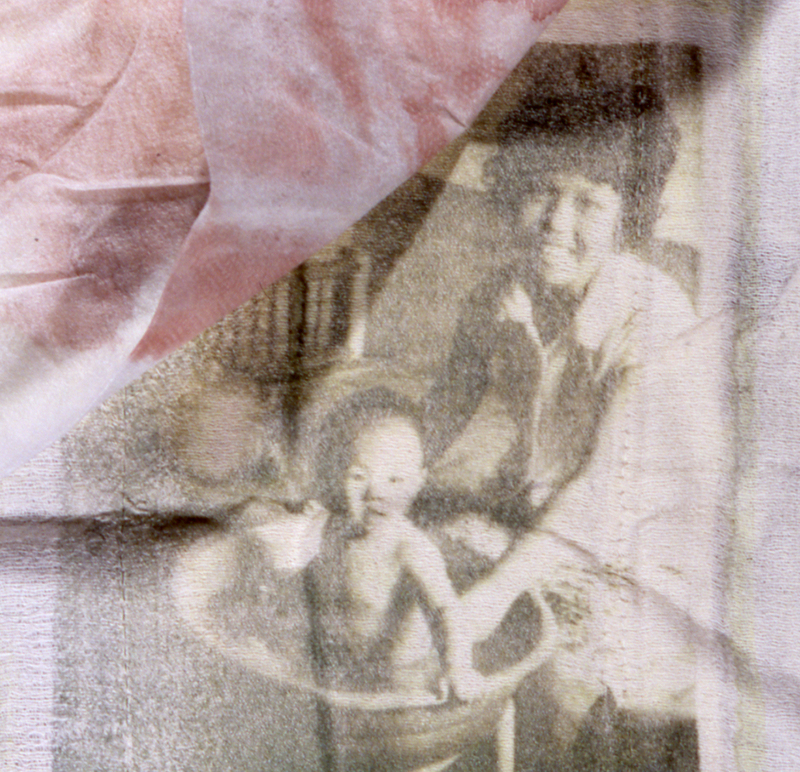 Cotton shirt imprinted with photo of Mom bathing me and video loop of Mom bathing my baby, Chi.